MFA's Animal Health division provides our retail operations a good mix of "over the counter" (OTC) labeled medications and vaccines, along with staff at the dealer locations who are trained to help you make the best use decisions about those products. all of that is intended to complement the production advice and assistance provided by your local veterinarian. We'll try to help you and your veterinarian get answers to the health questions and concerns that come up in your operation. Please let us know how we can help by contacting any one of the MFA Animal Health professionals. Click on the catalog to the left to browse our products. For a mobile-friendly link: CLICK HERE. 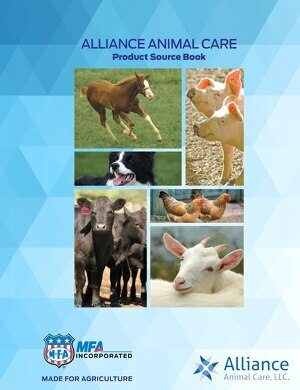 If you would like a product from this catalog, make note of the product number and contact your nearby MFA affiliate to place an order.